Home Sports Michael Jordan Net Worth, Stats, Wife, Height, Son, Girlfriend, Is He Dead? Perhaps the most popular basketball player in history, Michael Jordan, can also lay a claim to being the greatest in the game so far. The former Chicago Bulls shooting guard is a six-time NBA Championship winner, six-time NBA Finals Most Valuable Player, five-time Most Valuable Player, fourteen-time NBA All-Star, among numerous other accomplishments. The Basketball Hall of Famer now spends most of his time running his businesses. He is the current owner and chairman of the Charlotte Hornets NBA franchise which has resulted in him becoming the first billionaire player in NBA history and the third-richest African-American. MJ, as he is famously referred to as, was born Michael Jeffrey Jordan. He was born as the second to the last of five children to Deloris and James R. Jordan Sr., on February 17, 1963, in Brooklyn, New York. He attended Emsley A. Laney High School in Wilmington, North Carolina where he played in the school’s basketball, baseball, and football teams. Jordan went on to create a buzz around himself in the school’s basketball team which led many college programs to try recruiting him. With options across the country, Jordan chose to join North Carolina to play under legendary college basketball coach Dean Smith. As a freshman, Michael Jordan was given the title of ACC Freshman of the Year and helped his team secure the 1982 NCAA Championship. In his junior year, he received the title of the NCAA All-American First Team for the second time and was picked as the national college player of the year and ACC Player of the Year. After that season, Jordan chose to forgo his senior year to enter the 1984 NBA draft. Michael Jordan was then selected with the third overall pick by the Chicago Bulls. He made a remarkable start to his professional career which was crowned by fans voting him as an NBA All-Star starter and the Rookie of the Year. From 1984 to 1993, Jordan managed a three-peat, winning the NBA championship three times as well as the league’s MVP titles in those years among other accomplishments before choosing to retire, to play baseball. He cited exhaustion and a loss of interest in basketball which was prompted by the killing of his father who had wanted him to become a professional baseball player. In February 1994, MJ signed a minor league baseball contract with the Chicago White Sox. He played a number of games between that time and March 1995 when he decided to return to basketball following a Major League Baseball strike. He won the NBA title in the following three years before again choosing to retire in January 1999. Michael Jordan, however, returned to the NBA to play for the Washington Wizards in 2001. He played for two more seasons before finally calling it quits in 2003. As a freshman in college, Michael Jordan averaged 13.4 points per game on a 53.4% shooting (field goal percentage). He went on to average 17.7 points per game on 54.0% shooting throughout his three-year-long college basketball career. Jordan kept up his offensive brilliance after being drafted in the league. He averaged 28.2 points per game on 51.5% shooting as a rookie to become a fan favourite. In the 1986–87 season, MJ had his best scoring season by scoring more than 3,000 points with an average of 37.1 points per game on 48.2% shooting. In his 15-year long career, Michael Jordan managed to play a total of 1072 games, averaging 38.3 minutes per games and 30.1 points per games on 50.9% shooting. Michael Jordan might just go down in history as the highest-paid athlete of all time. The six-time NBA Championship winner currently ranks as the 1,477th wealthiest person in the world with a net worth said to be around $1.65 billion. Despite earning just a total of $90 million throughout his 15-year playing career in salary, MJ was still able to climb up the earnings/wealth ladder through corporate partnerships like the very successful Nike Jordan shoe brand and his ownership of the Charlotte Hornets basketball team. 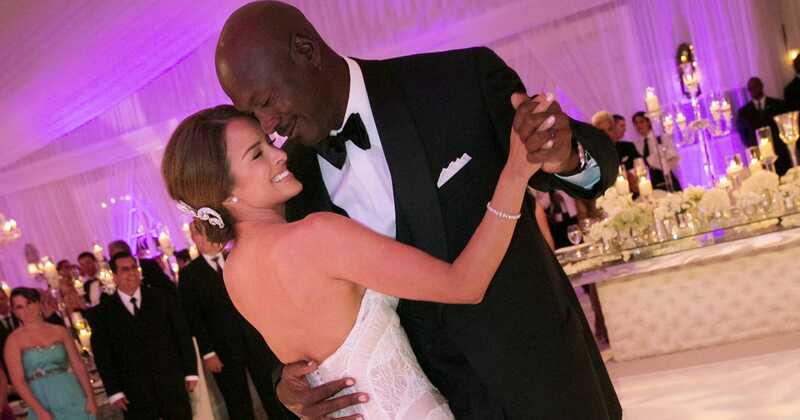 Michael Jordan is married to Cuban-American model Yvette Prieto. The couple met in 2008 while dancing at a club before reportedly moving in together in 2009. In the Christmas of 2011, Jordan proposed to Ms. Prieto and on April 27, 2013, they exchanged vows at the Bethesda-by-the-Sea Episcopal Church in Palm Beach Florida. Together, the couple has twin daughters named Victoria and Ysabel who were born on the 11th of February, 2014. Jordan has three other children; sons Jeffrey Michael and Marcus James, and daughter Jasmine, from his first marriage to Juanita Vanoy in September 1989 which ended after the courts granted a dissolution of marriage in December 2006. Both of Michael Jordan’s sons played high school and college basketball before each of them chose not to follow in their father’s footsteps and quit. Michael Jordan is alive and can be spotted courtside watching his NBA team play. In February 2015, the basketball great was falsely reported to have died in his sleep in his North Carolina residence from a heart attack. The reports were just part of the ongoing celebrity death hoax series on the internet.